Pack Your Bags, We Are Going to the U.S.
American women have an endless amount of fashion options. J.Crew. Anthropology. Banana Republic. Ann Taylor. However, with a little primary research, AMP learned one very important thing about the fashionable female: while she is interested in fashion, she is not a slave to trends and will choose clothing that fit her individual style and make her feel happy. 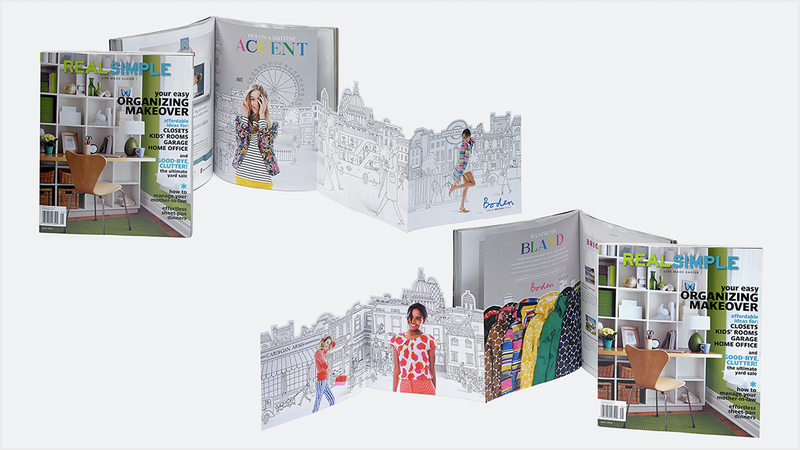 This presented the perfect opportunity for Boden, a UK-based clothing company known for their colorful and pattern prints. They wanted to break into the U.S. market and hired AMP to better understand the U.S. women’s wear shopper and revitalize the way they were spending their marketing dollars – moving from catalogues to custom connections. As a less well-known clothing brand in the U.S market, Boden was arriving to the party late - fashionably late that is. Therefore, AMP needed to make a big, colorful splash in the women’s clothing market to help Boden’s bright, cheeky brand shine among the muted challenger brands, while more effectively spending modest dollars that were tough to rival against competitor budgets. To assess where we stood, we conducted a national online survey that evaluated the current state of Boden’s brand health, as well as competitive brands, to identify purchase intent and brand perception. We also conducted exploratory research through shop-alongs and closet audits to deeply understand what drives and motivates key consumer’s purchase decisions and emotional connections to fashion brands in the category. Our insights identified three opportunistic audiences, Kate, Katie, and Katherine - whose custom built personas served as the foundation for all creative and messaging strategy as well as our media recommendations. BREAKING INTO THE U.S. MARKET, IN STYLE. Based on our knowledge of the audience, we focused on ways to bring the brand’s unique approach to color and patterns to life, demonstrating that a colorful attitude gives you a head-start on happiness. 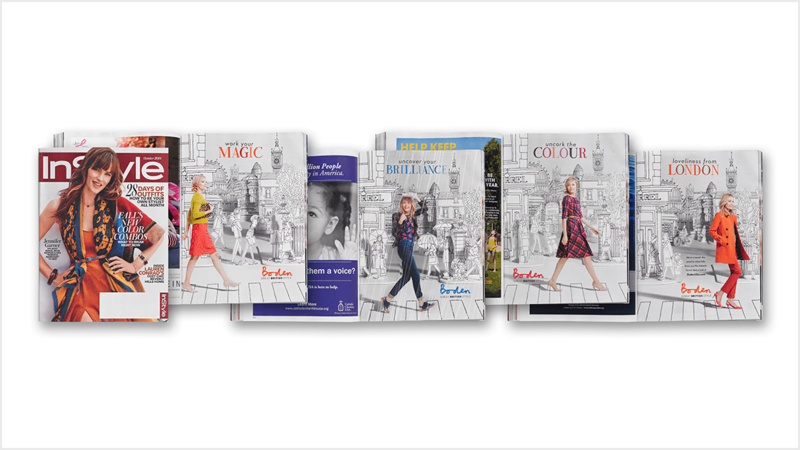 Our creative mantra centered around breaking away from the same-old monotone world of outfits that blend into each other, and celebrating the way Boden clothes allow you to stand out against the grey, and see the world through a more colourful lens. Instead of trying to compete with the media war chest of Banana Republic and Ann Taylor in traditional media vehicles, we outsmarted vs. outspent our competition to focus hyper-locally where ‘Kate’ lives. We focused on creating a national feel but with a localized, impactful, virtually waste-free approach. Ultimately, our integrated, and frequency-based media strategy led us to the idea that wherever ‘Kate’ was, we would go too, and only in a way that was uniquely Boden. With brand awareness and sales serving as primary objectives, the Splash of Happy campaign delivered in a big way. 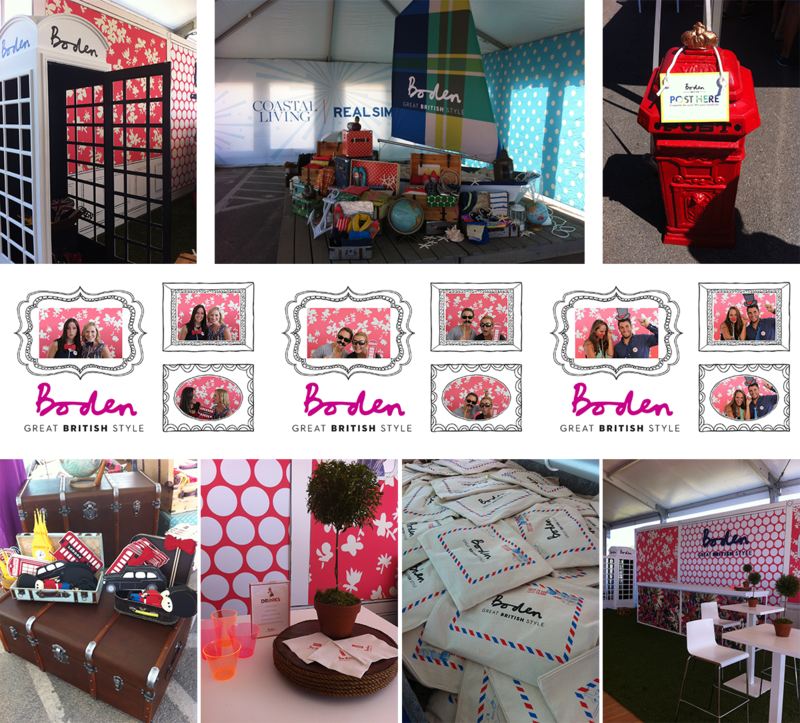 In a tough year for retail growth in the U.S., when competitors has flat and even declining awareness and sales measures, Boden made significant strides.